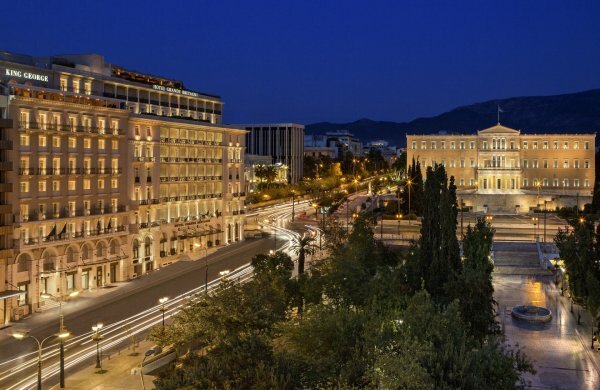 Lampsa Hellenic Hotels, owner of Hotel Grande Bretagne in Syntagma Square, has approached the City of Athens offering to fund the replacement and upgrading of the lights in the capital’s central square. According to a Kathimerini newspaper report, the City of Athens has accepted the offer, giving the green light for the project, which has an estimated cost of 200,000 euros and will upgrade Syntagma Square. Lampsa Hellenic Hotels wants the project to be completed by early December at the latest, although this will depend on the bureaucratic procedures required by City Hall and pertinent authorities.